The urban environment is harsh and trees need our help to survive. We're licensed to professionally diagnose and treat your trees. Every pruning cut has potential to change the growth of the tree. ARE YOUR TREES PROPERLY PRUNED? We strive to make your property a safe work zone. Our employees are highly-trained in proper rigging techniques and conform to ANSI and OSHA standards. 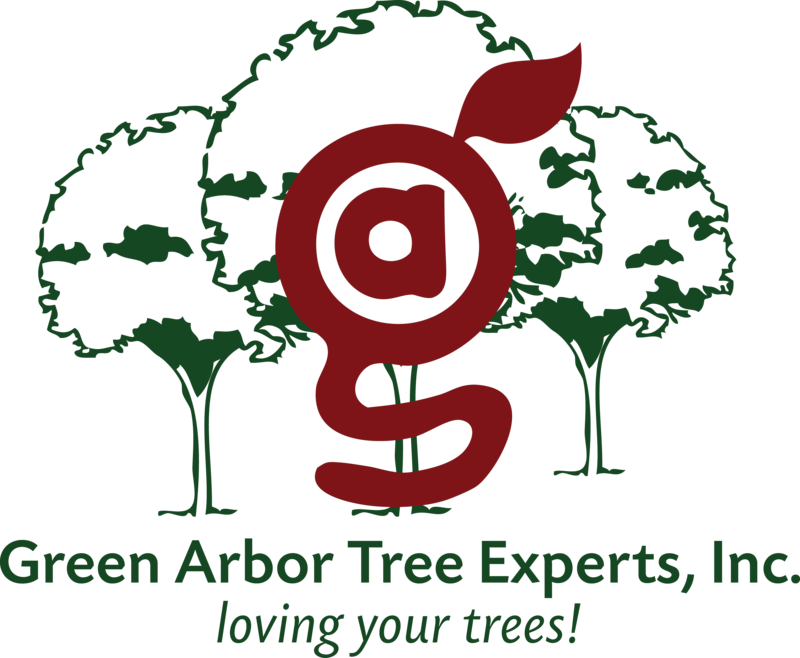 Welcome to Green Arbor Tree Experts, Inc. – where we love your trees! We are a locally owned and operated full-service tree care company. 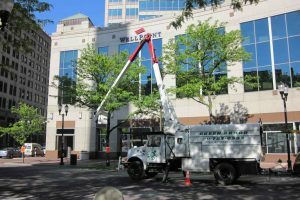 We provide service to residential and commercial properties throughout central Indiana. At Green Arbor, we use only proper pruning techniques. 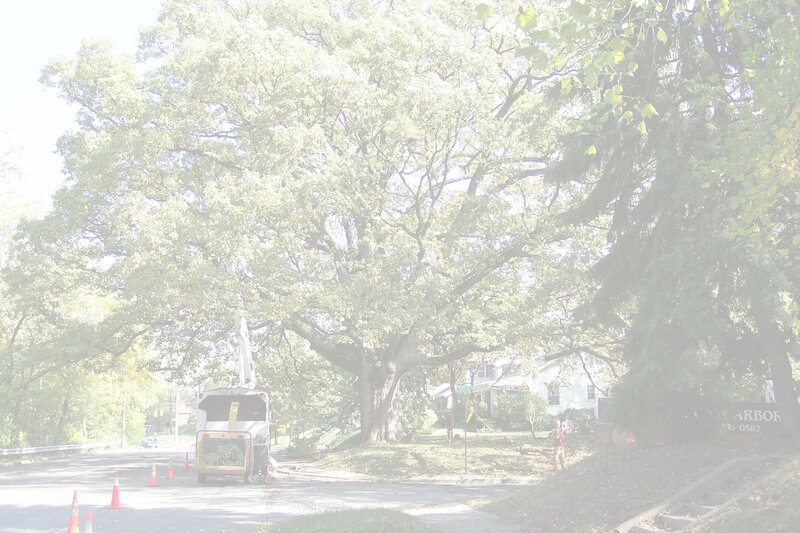 Our objective remains to sustain and improve a tree’s ability to cope with the Urban Setting. 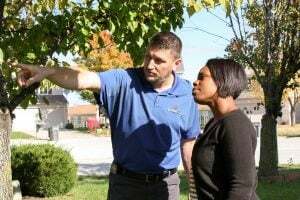 Click here to learn more about our pruning services. 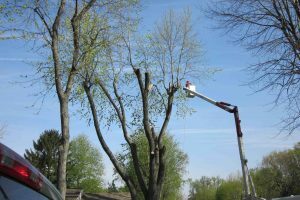 When a tree becomes a hazard to people or property, removal is the best course of action and at times a very dangerous procedure. Do you have a hazardous tree? Learn more here. Long with proper pruning we recommend deep-root fertilization to replenish the macro & micro nutrients in the soil deep enough for the tree to benefit. Let us take care of your plant health. We realize that as property managers, you have both the concern for the aesthetics, as well as the safety of your properties. Trees play a major role in both of these. 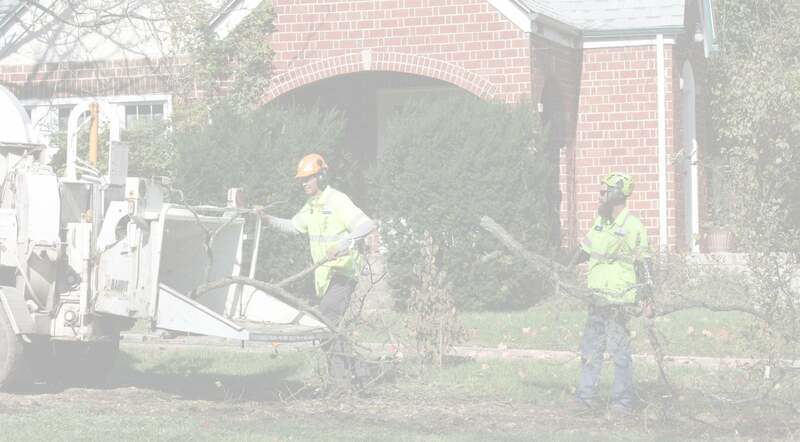 Due to the proper tree-care we provide, your properties are covered on both fronts. We trim strictly to ANSI and ISA standards and are fully insured. 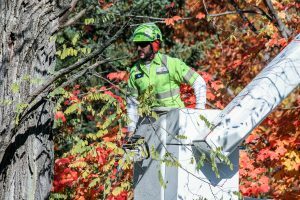 Our certified arborists and tree-care workers are skilled, full-time employees. Get a free and easy estimate! Click here to stay up to date with all our Facebook activity.